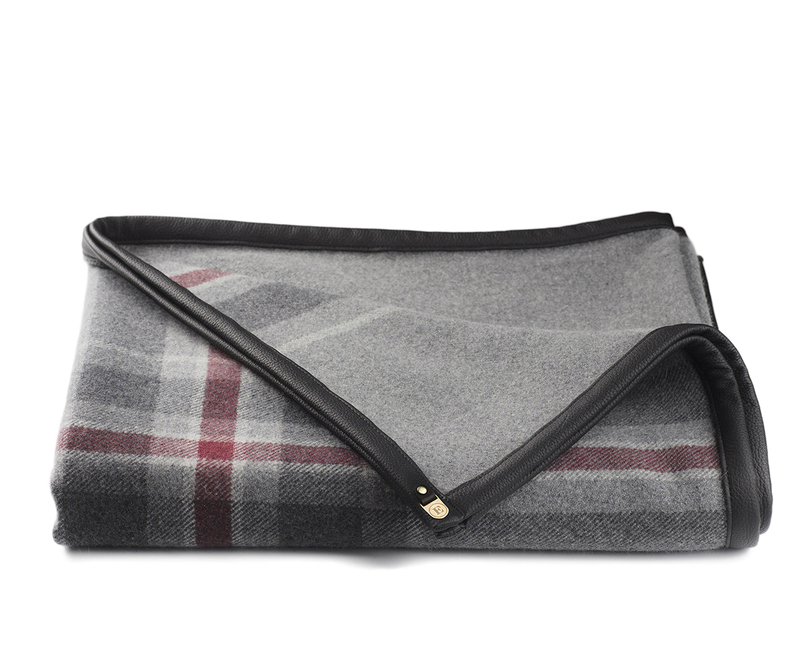 This beautiful elk leather edged blanket is made of 88% Lambswool and 12% Cashmere for softness and warmth. 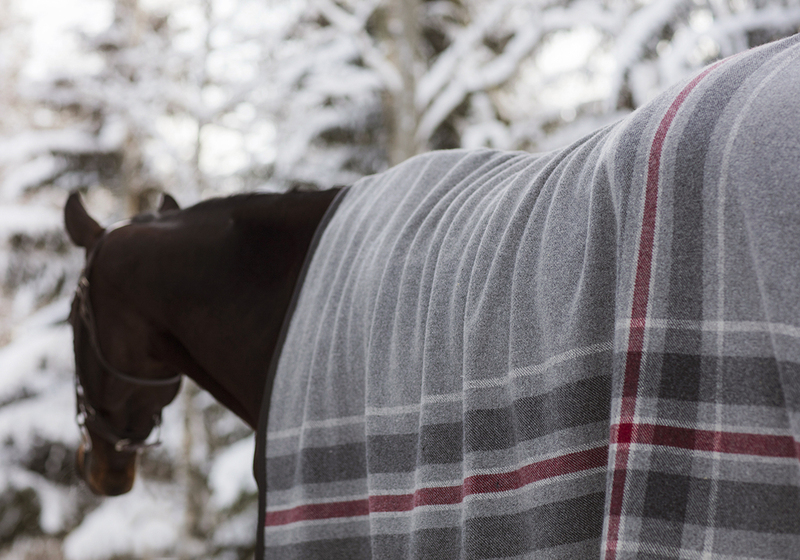 It will keep your horse’s muscles warm without being too heavy to handle. 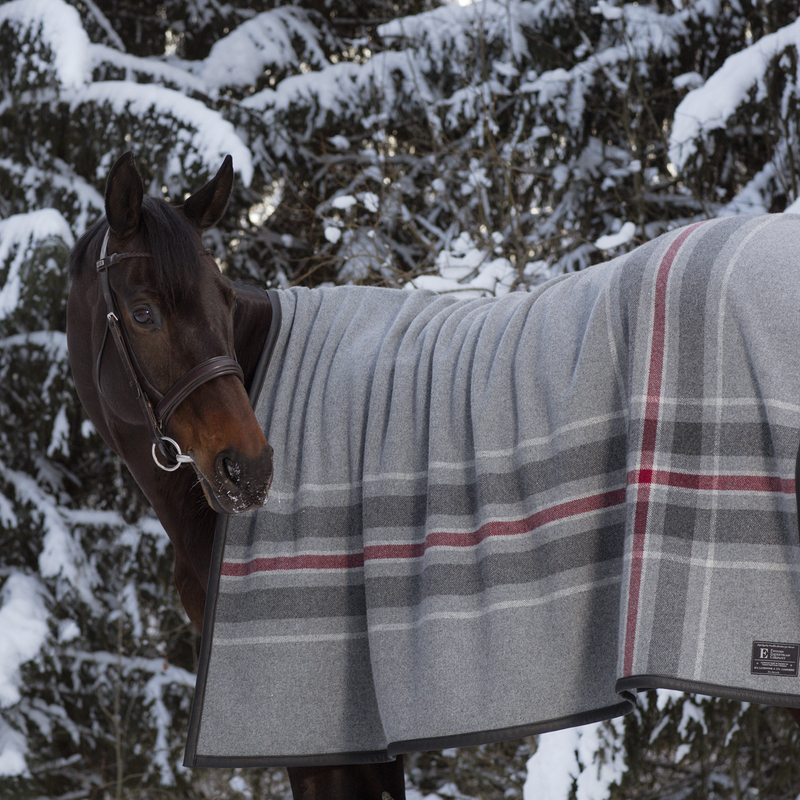 It is perfect for warm up before training and streching after exercise as well as an underblanket for traveling etc. 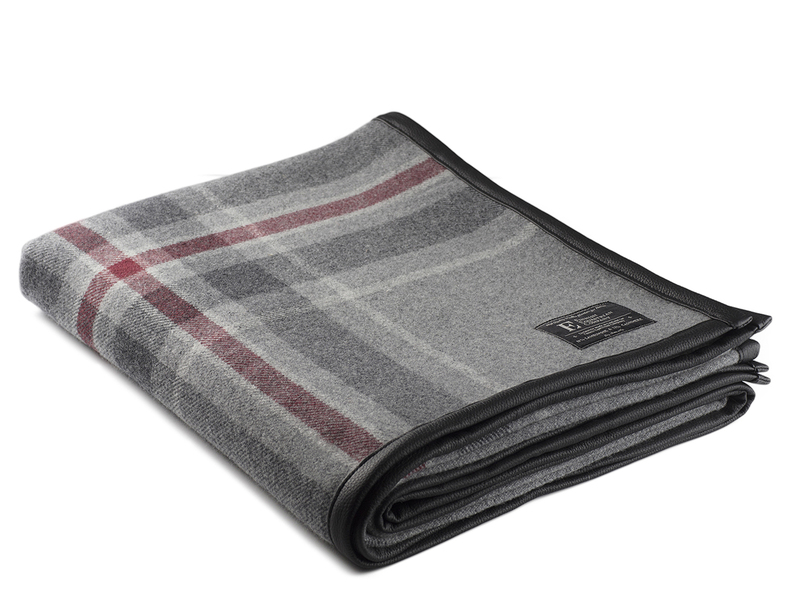 This elegant blanket is made of Supersoft Cashmere yarn spun for us in Scotland. 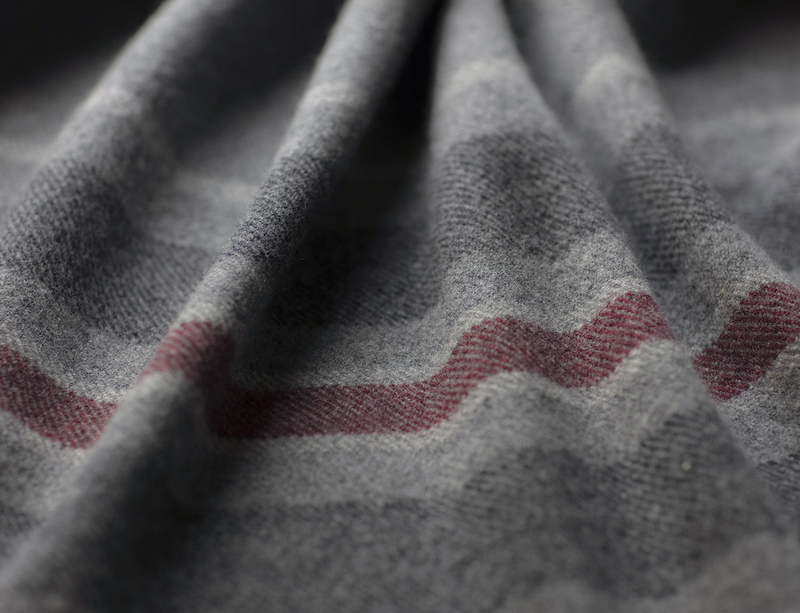 It is an sublime blend of fine cashmere and finer lambswool to make a beautifully soft yarn. 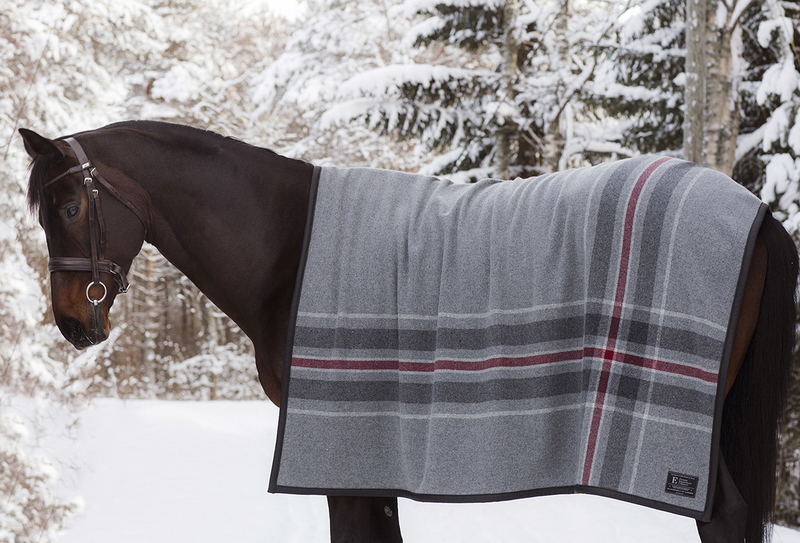 The luxurious blanket feels amazing against your horses skin and keeps your horse warm without being heavy to handle. 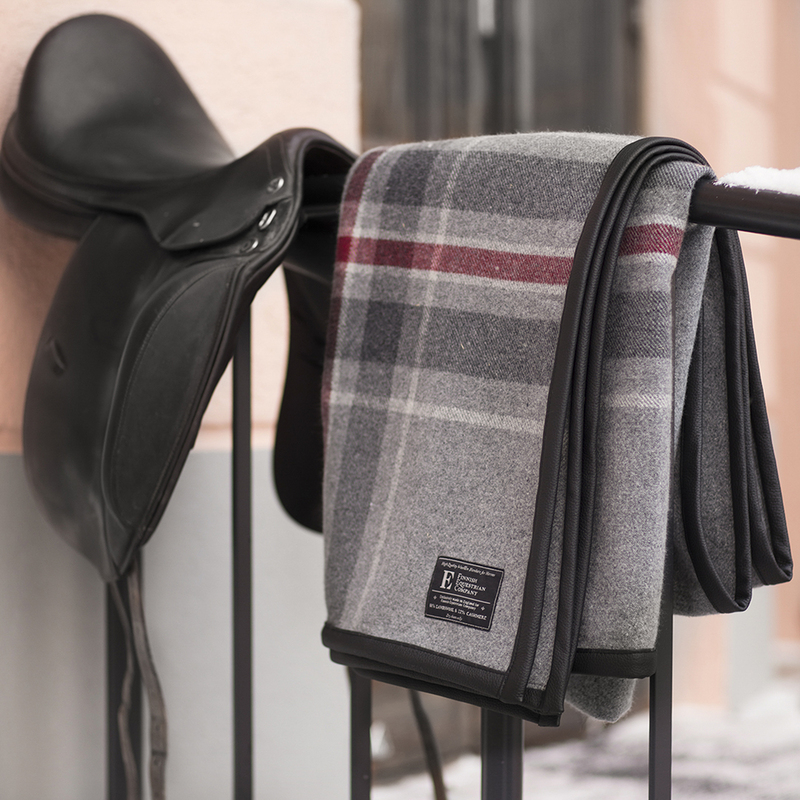 The Finnish Equestrian Company’s design is made to look exceptional on your horse. 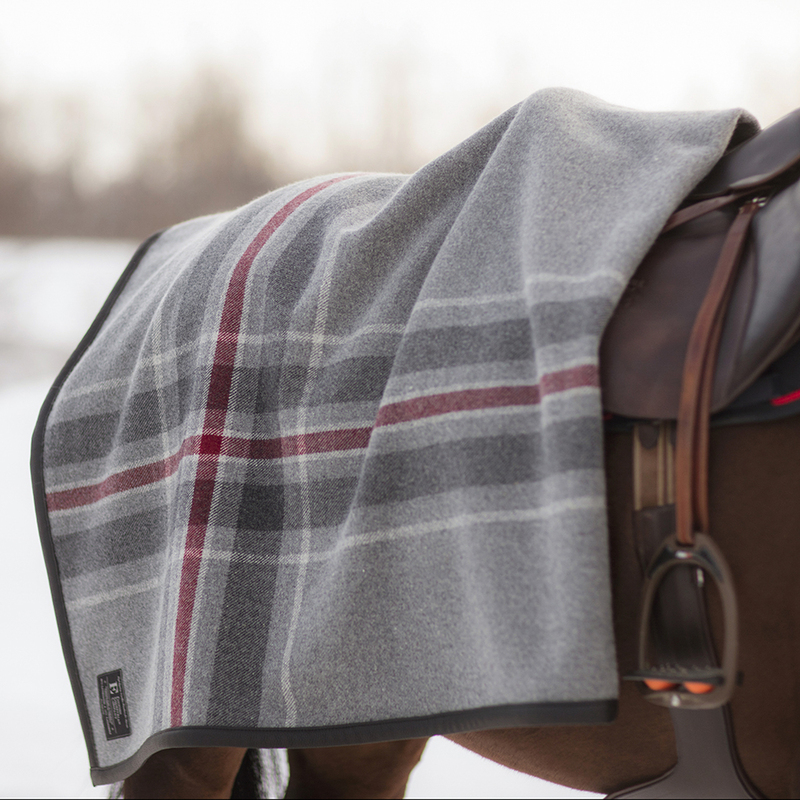 The blanket is hand finished with stunning elk leather edging. Nordic elk leather has a unique softness, durability and richness that makes it stand out among all other leathers. 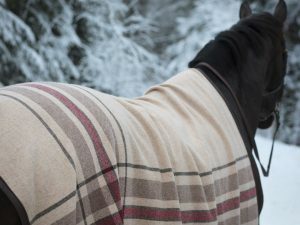 Because of the excellent qualities of the wool it works in complete harmony with living creatures and doesn’t gather static electricity, not even in the coldest and driest of weathers. 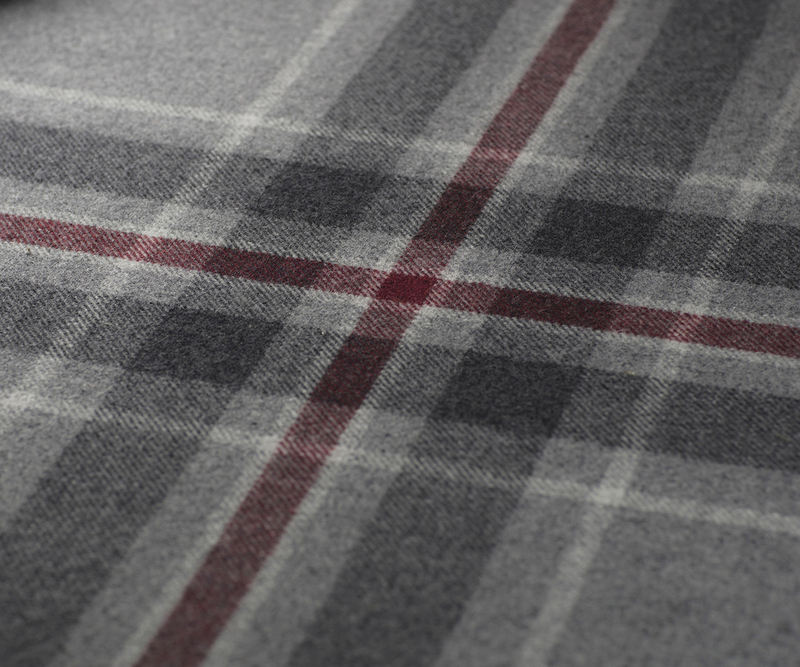 Wool is a nurturing, natural, hollow fibre that breathes well allowing moisture to pass through its fibers. Therefore wool feels dry against the skin and smells fresh longer. 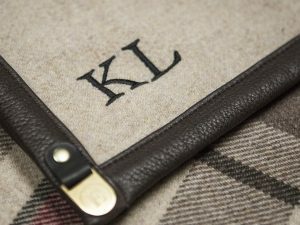 Each blanket has a unique running product number stamped on the logo plate attached to it. Care Instructions: Wool can be freshened up by airing and brushing. If for some reason you need to wash your blanket we recommend dry clean only. Store in dry place in room temperature.